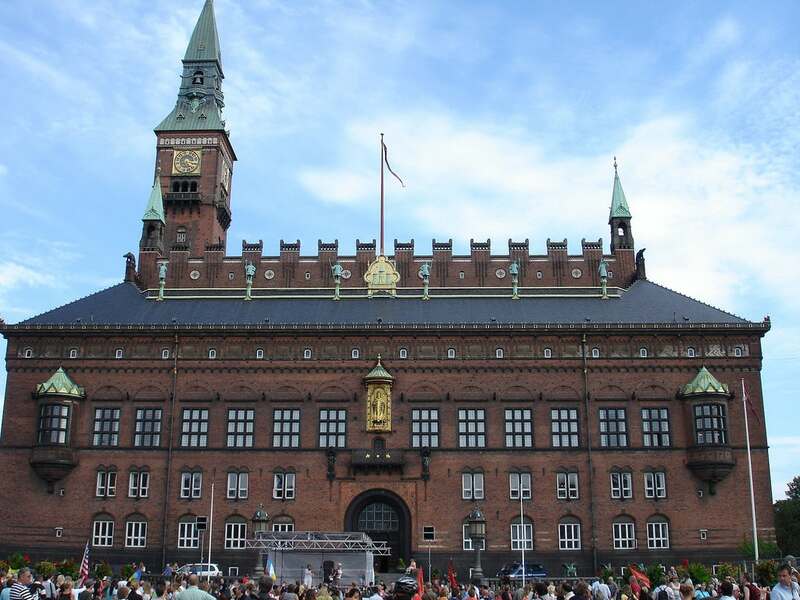 Copenhagen City Hall (Danish: Københavns Rådhus) is the headquarters of the municipal council as well as the Lord mayor of the Copenhagen Municipality, Denmark. The building is situated on The City Hall Square in central Copenhagen. The construction started in 1893 and was completed	1905.